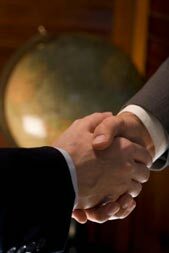 We offer mediation services for parties who seek an alternative avenue to dispute resolution. Scott McDaniel is a Mediator Certified by the Institute for Conflict Management, who has been working to settle lawsuits and claims for many years. The Judges of the District Courts appointed Mr. McDaniel to serve as an Adjunct Settlement Judge on the panels for the United States District Court for the Northern District of Oklahoma, and the Tulsa Early Settlement Program. Mr. McDaniel has an impressive track record of success settling disputes as a function of his ability to evaluate disputes and to communicate with persons of all backgrounds. Mr. McDaniel is particularly effective in facilitating productive communication between the parties, and he will work tirelessly to achieve a negotiated solution whenever feasible.